Today journalists operate in a tight bubble of influence. Their stories, while meant to objectively inform the mass public, are often subject to many institutional forces outside of their control. Journalism and news is a business, and so there are various market forces at play that dictate what stories get told and which are pushed out of the frame or newspaper. As a business, the network or newspaper has a bottom line and in the end they need to make sure their content is making them the money that they need. So a story about Vladimir Putin riding a horse, or a man exclaiming to “hide your kids, hide your wife,” may be what’s covered over more hard-hitting issues. Sensationalism is the big thing in the news today because it garners the most views from audience. People don’t have the time or attention span any more to read long form pieces everyday, so short stories sensationalized with videos, pictures and interviews are all the rage, constraining real investigative journalism. The media and politics in general is very polarized today. Partisan stations are easily identifiable and partisan issues rule the news coverage. This constrains the objectivity of journalists as they are often writing for a biased or slanted organization. Issues of ethics is another factor that constrains what journalists can publish and release. Certain information maybe be detrimental to high-powered people or organizations and therefore there may be negative repercussions for the journalist in publishing such content. In the US we are lucky to have freedom of speech and freedom of the press however, there are still other indirect forces that are at play. Journalists are a part of a machine and a business that has to cater to their bottom lines and constituents. This definitely poses a problem for journalists who want to be the true public watchdog, for those who want to do real and traditional investigative reporting. Presidential administrations are often as candid and open, or hostile and aggressive, with the media as they need to be depending on the present situation in the country and in the world, and also how the candidate in question handles the media. Presidential administrations are very concerned with their public image because public opinion is so very influential. If a President is good with their speaking skills and have that charisma, then they often will be more open and candid with the media. 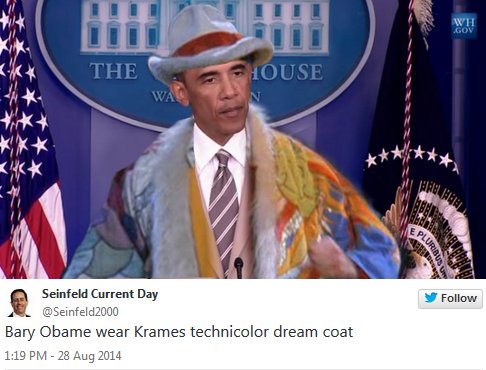 Presidents however who aren’t good at public speaking, will shy away from being as open to the media. The Obama administration today is often said to be the “greatest enemy of press freedom.” The administration is in the middle of a world where national security is the main priority. Therefore, when the media gets wind of an issue, the administration is very tight-lipped and uncooperative. When news outlets do manage to report on issues, there are often repercussions and there is no way audiences can know what kind of pull the administration has behind the scenes. Edward Snowden is a perfect example. Was he informing the public with information we have a right to know as citizens? Or was he threatening national security and therefore deserves what happened to him and what will happen to him over the course of the next couple of years? This entry was posted in Country Diary and tagged country diary, journalism, press freedom, russia. Bookmark the permalink. The War on Terror provided an opportunity for Russia and the United States to form a bond bridging the gap between the two competing countries; they quickly became united for a common cause. After the attacks on 9/11 former President George W. Bush declared U.S. participation in a “war on terror.” In doing so, he reached out to other international nations, asking for their help in ending this cycle of terror once and for all. To much surprise, Russian President Vladimir Putin was one of the first to pledge his nation’s participation in this war on terror. 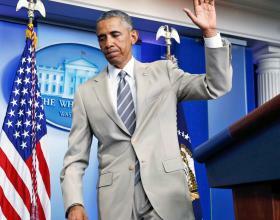 Additionally, he extended a firm hand in aiding the U.S. in their invasion of Afghanistan. Bush once entertained the idea of a war on terror, while he was campaigning for office, a suggestion directly targeted toward Russian presence in Chechnya. However, after Putin offered assistance and his deepest condolences during this devastating time in U.S. history, Bush had to look out for the betterment of the nation, the interests of the people during this time. Chechnya was no longer a factor. 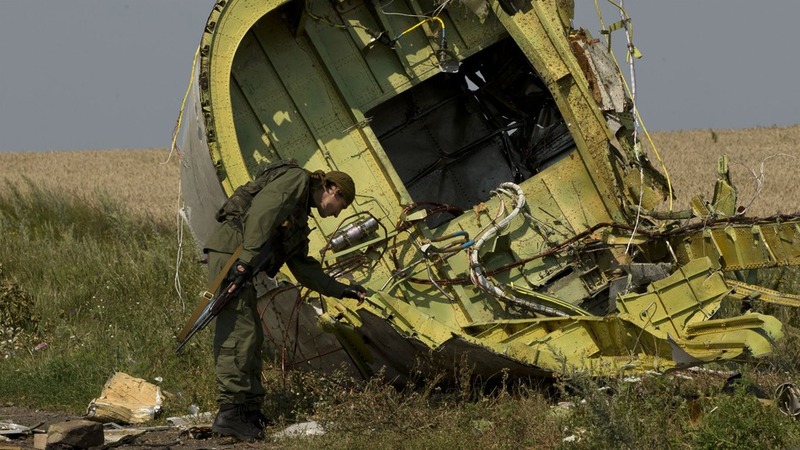 The U.S. needed assistance, and Russia’s aid during this time formed a bond between two countries that have a bloody history of war and deceit. 9/11, as tragic and terrorizing as it was, provided an opportunity for Russia and the U.S. to form a partnership, a forum for cooperation between two powerful international players. It is not uncommon for countries with troubled pasts and adversarial tendencies to unite for a common cause that it bigger than the issues between the two actors. While Russia did come to the aid of the U.S. in this critical time in 2001, relations between the two key nations have once again taken a turn for the worst as Russia and the U.S. find themselves at opposite spectrums in relation to the issues of the international playing field today. This entry was posted in Country Diary and tagged country diary, journalism, russia, war on terror. Bookmark the permalink. With the recent Russian invasion in Crimea this year, it was revealed that a wikileaks cable from a Ukrainian embassy had foreshadowed the instance dating all the way back to 2006. 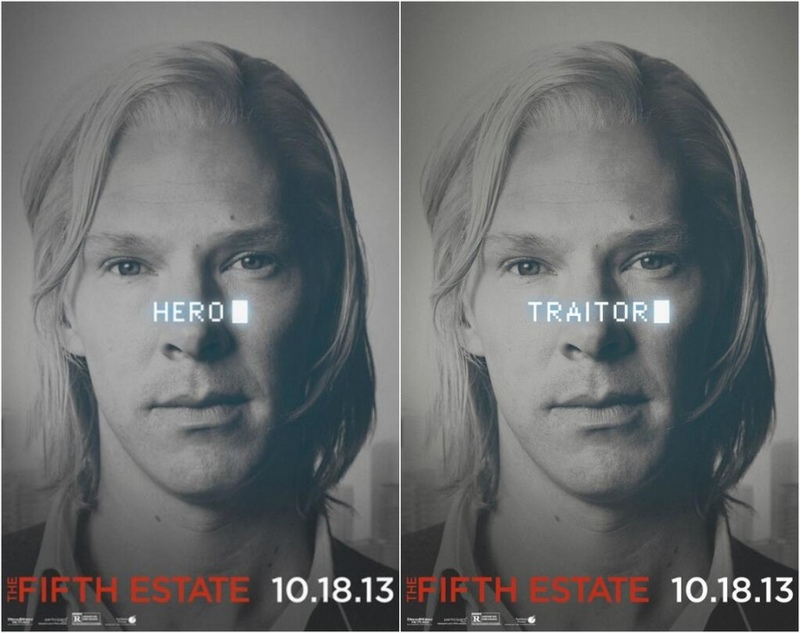 Benedict Cumberbatch as wikileaks creator Julian Assange, because why not? This cable discloses that there was a “return of pro-Russian separatism in Crimea” which could pose a real threat to Crimea’s “territorial integrity.” According to the leaked report, pro-Russian forces were being funded by Moscow, and were systematically trying to increase tensions in Crimea. This report indicates that Russia has been trying to manipulate its way back into the territory and 2014 just so happened to be the year in which the straw broke the camel’s back so to say. Why wasn’t this report taken more seriously at the time? 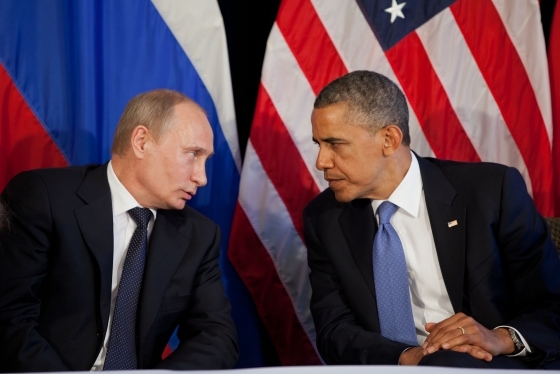 Why didn’t the U.S. take actions to subdue Russia’s negative influence in Crimea earlier? Of course U.S.-Russian relations are very tense at the moment as a result of this invasion however it seems as though the military intervention in Crimea this year was all laid out, a ticking time bomb just lacking a specific detonation. This entry was posted in Country Diary and tagged benedict cumberbatch, country diary, crimea, journalism, julian assange, russia, vladimir putin, wikileaks. Bookmark the permalink. 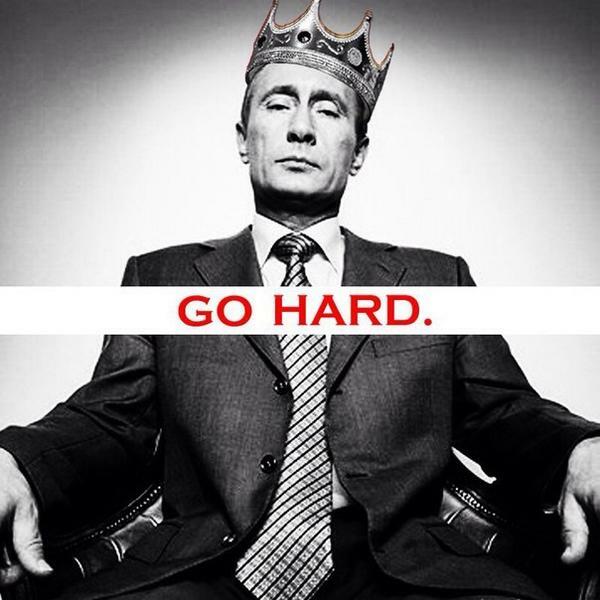 Happy birthday Mr. President→ HBD Putin. Today, much like that of the broadcast news media, journalists are facing a bit of a dilemma : how can they keep their stories entertaining while still reporting on the key issues that people need to be aware of? Enter non-traditional web-based media sites like Buzzfeed, Vox, the Huffington Post and etc. Many of these sites are purely meant to be satirical, however much like the Daily Show with John Stewart, people often look to these types of comedic and humorous outlets for their real everyday news. Buzzfeed for example, started off as a fun site simply meant to produce things that would go viral on the web. A funny giff of a grumpy cat one day, and a quiz on which character of friends you were the next. However, as people began to go to the site more and more, it expanded and is now a legitimate journalistic source for many people. However it is not a traditional media outlet so the rules of impartiality do not apply. In fact, reading through most of their posts, it is easy to see the stance the writer takes on an issue or event, especially since many of the articles poke fun at people or places. I will even admit that I check Buzzfeed almost daily to be informed as well as entertained on all things pop-culture and sometimes even on current events. For example, Russian President Vladimir Putin’s birthday was on Oct.7. 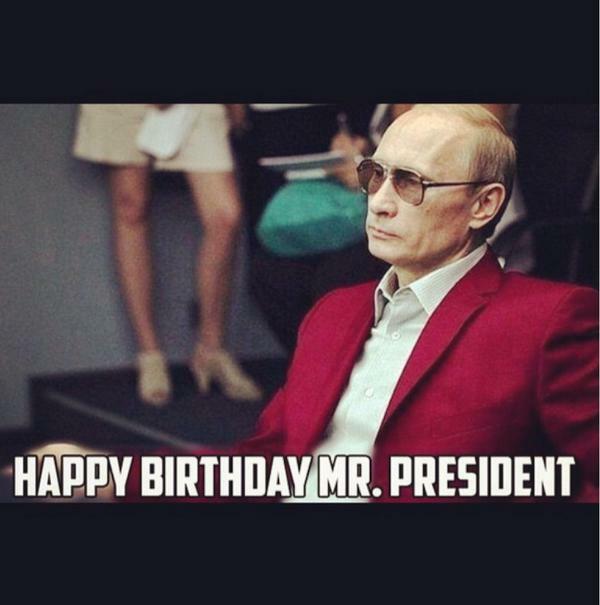 Buzzfeed posted an “article” titled, “Today Is Putin’s Birthday And In Russia There Was Much Rejoicing.” The article is equipped with relevant instagram posts, tweets, hilarious pictures and sarcastic commentary. However, while the facts may be presented in a different and more fun way, the facts are still within the story. The who, what, when, where, why and how is fully explained and there are even outside quotes and sources. News that is pleasing to the eye and easy on the brain is what’s in. People often look to the news to be informed, but also as an escape from mundane tasks of everyday life and work, so they seek news that is easy to follow. So how do traditional news outlets compete with the likes of these non-traditional sites? Well, they learn to adapt while trying not to sacrifice too much of their traditional journalistic values and integrity. Take the NYTimes for example. On Oct. 7 2012, Putin’s 60th birthday, they commemorated and reported on the event by way of a traditional news article . While the article was informative and well written, this is not something that would attract readers in 2014. 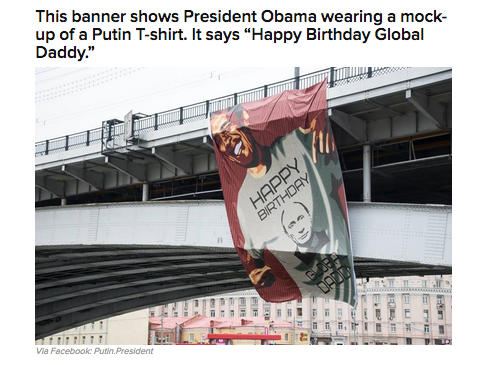 So what did the NYTimes do this year for Putin’s birthday? They instead posted quick 2 min video. Simple, interesting and to the point, the video is the perfect example of the ways traditional media outlets are competing and adapting to the new changes and trends in how people like to receive their news. The video is just as effective as an article would have been, and probably attracted way more viewers than readers of the previous article. Journalism serves the public in many ways. Journalists act as watchdogs for the ordinary citizen so that they know they are living in a nation free from corruption. It is also meant to objectively educate, inform and incite debate. However what do journalists do today, when we are amid a changing landscape. Technology has revitalized much journalistic practice. Society runs faster and people are always on the go. With information constantly at their fingertips, people do not have time to sit and read hard-hitting journalistic reporting. So it is no surprise that non-traditional web-based media has been thriving in this environment. Producing stories that are straight forward and to the point, as well as sarcastic, sensationalized and all around interesting to readers. People would rather scroll through a bulleted version of a story with pictures, giffs and videos than sit through and read a 6 page article on the same subject. People today want to be informed and entertained, not necessarily fully educated on a topic. It is no surprise that today that traditional media outlets are trying to compete with non-traditional web-based sites. However it is worth considering just how far traditional journalistic outlets will go to adapt, how much will they sacrifice? Will the generation living 50 years from now even be exposed to traditionally written, long-form reporting pieces? The rise of social media use has led to a convergence of different journalistic platforms in modern Russian reporting. The “old” and traditional print style news is mixing with the “new” social media and internet based tools of today. Social media has provided a way for journalists to get news out faster, as well as reach out to the public and get their aid in fact checking or corroborating stories. However, the increased use of social media platforms in reporting sometimes also influences quality of the work that goes out to the public. However, in countries like Russia where the government tries so hard to censor what their people can see and what they can say, social media is the most effective tool out there. It empowers people, and gives voices to the millions who wouldn’t have otherwise been heard. 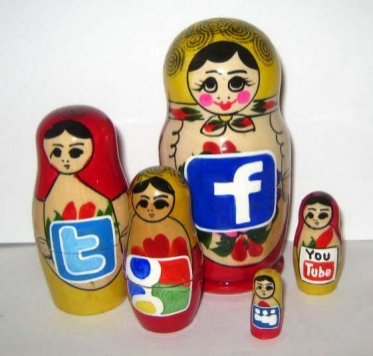 The Russian government uses social media as a “watchdog.” Just recently the Russian government enacted a law “imposing restrictions on users of social media has come into effect in Russia. It means bloggers with more than 3,000 daily readers must register with the mass media regulator, Roskomnadzor, and conform to the regulations that govern the country’s larger media outlets. Internet companies will also be required to allow Russian authorities access to users’ information.” While the government cannot directly take away freedom of speech or violate freedom of the press amendments in their constitution, they have increasingly come up with alternative strategies to quell the press and their opinions. 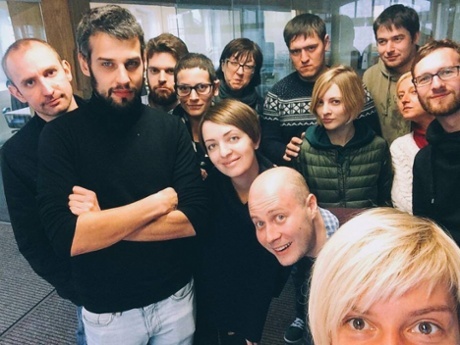 Russian Journalists are now coming together to get stories out there in response to the government crackdown on journalism. For example, The Meduza Project. The organization is fighting back in order to make their voices heard and they are doing it through cutting-edge social media techniques. More active and updated journalism available within seconds to all is what the industry is all about. With over 26,000 twitter followers already, the journalists have proven themselves to be resilient against the government. Citizen journalism remains one of the only outlets left for Russian people to engage in real journalism, independent from government monitored outlets. In Russia, a society where the government still controls and censors major news outlets, citizen journalism is thriving. “With around 4 million blogs and very few media outlets bent on challenging the authorities, it’s not an exaggeration to say that the Internet is the last bastion of free speech in Russia,” writes Luke Allnutt on his blog, Tangled Web. Blogging platforms have proved successful at assembling large groups of Russians into the field of citizen journalism and increasing civic engagement as well. Such platforms include blogs like LiveJournal. Instances like this prove that citizen journalism in fact, is one of the only true sources for breaking news in Russia, but it doesn’t come without its challenges. Citizen journalists are often faced with government-mediated challenges and persecution. Specifically the practice is called cyber-dissidence. A cyber-dissident is a professional journalist, an activist or citizen journalist who posts news, information, or commentary on the internet that implies criticism of a government or regime. However, we now live in a society that is dependent on the online world. How can Russia expect to quell the rise of the ordinary citizen? 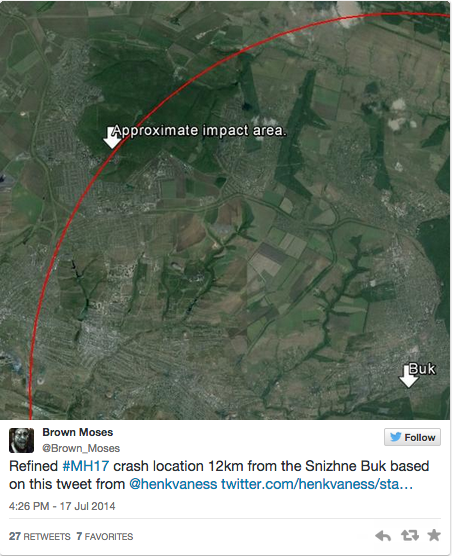 This entry was posted in Country Diary and tagged citizen journalism, journalism, russia. Bookmark the permalink. Stories will have a different impact on people based on how they are told and the medium through which they are conveyed. 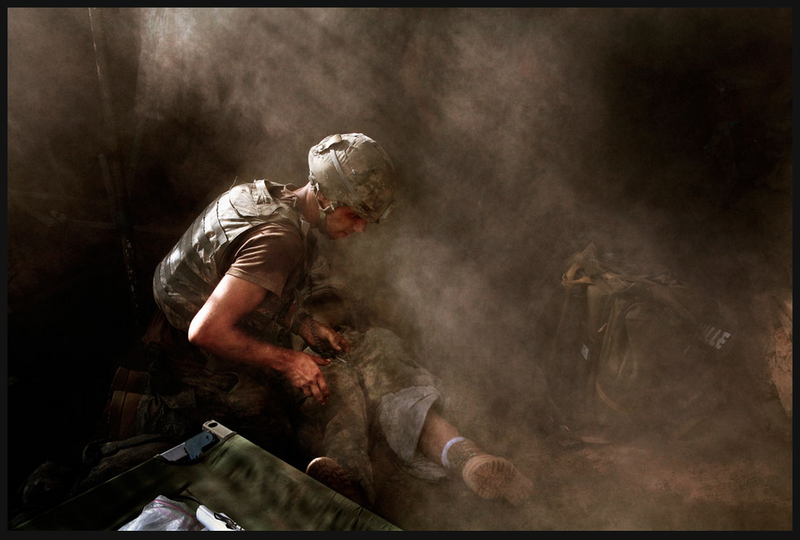 Watching Restrepo affected me in a completely different way than reading Into the Valley of Death by Sebastian Junger or looking through the images in Michael Kamber’s article, equipped with photos. The film is raw and real. 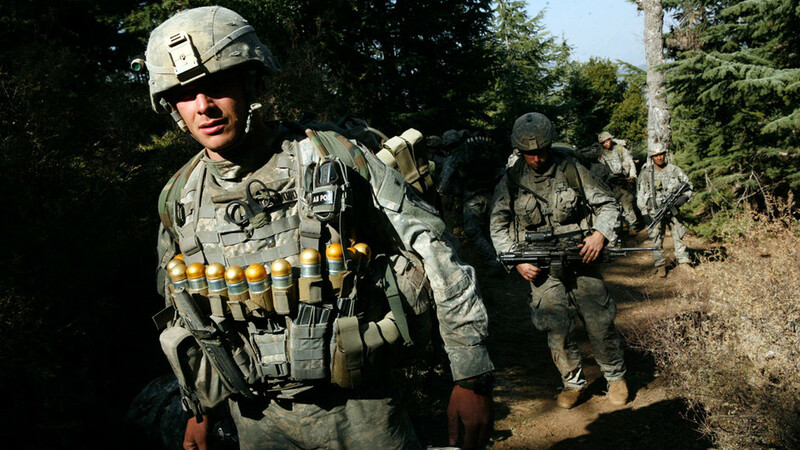 Looking at the disastrous and dangerous conditions these soldiers had to go through in Afghanistan through a camera lens, is far different than reading about it. In addition, a few images on a slideshow, with perfect lighting, does not do it justice either. These soldiers were relatable and heroic as they gave everything they had to fight for their country, the raw emotion and personal connection viewers experience when watching the film is what makes it all the more effective in conveying the reality of the conflict. Just looking at the film and the story it portrays: a story of heroic soldiers literally obliterating the enemy. One cannot help but feel support for US troops in that instant. However, taking a step back from the film and looking at it with a clear head, it was not balanced or impartial — it simply cannot be. There is no way viewers can take in every aspect of this film and not be on the soldiers’ side. No matter what the casualties, no matter how many die, their actions are always justified. In addition, the soldiers in their interviews manage to always be politically correct. 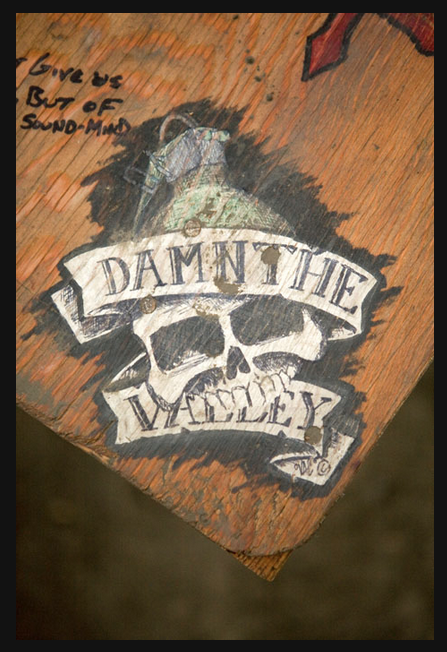 In one instance Major Dan Kearney says that the Afghan people in the Korengal Valley were upset with their attack since civilians were injured or killed. The soldier makes sure to state that they killed the bad guys, and they MAY have also killed some others who were LINKED with these evil men. They never admit to the fatal casualties that were incurred on innocent civilians and children. Aside from the bias that will always be in a military endorsed novelty, I firmly believe that the film Restrepo was the most effective way of displaying the conflict. Or at any rate, the most effective way of making people care about it and honoring the soldiers — both the dead and the living.